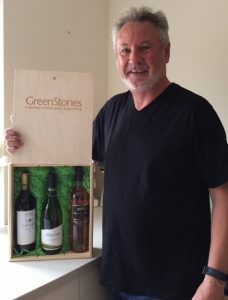 Tony Van Uden recommended GreenStones and received a case of wine. As a thank you for recommending us, we sent Tony and Ryan a case of wine each. Nothing gives us greater pleasure than receiving a referral from our customers and associates. It not only means we’re doing a great job, but also that you trust us to do the same for the people you have referred to us. So, how could you receive a case of wine or food hamper? 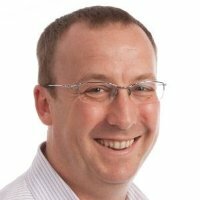 Simply click here now and let us know if there is someone you know that we should be working with. 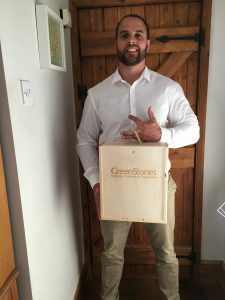 Ryan Connor with his case of wine for recommending GreenStones. Terms & Conditions apply. A case of wine or food hamper will only be received once the referral becomes a customer of GreenStones.